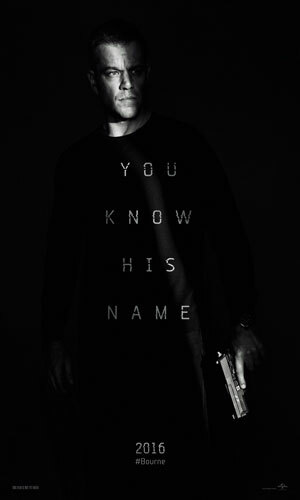 Jason Bourne is a fictitious assassin for the CIA. Years ago, David Webb lived an idealic life as a young foreign service officer in Phnom Penh. Being fluent in several languages of the Orient, he was an 'up-and-comer' in the area. Married to a young woman from Thailand, father of two children, happy in his work and homelife, David Webb was happy. It was all destroyed when, during the beginning of the Vietnam war, a stray aircraft made a devastating strafing run along the riverbank the Webbs called home. The wife and the children were riddled with bullets before Webb's eyes and he was left to bury his life and wonder why. Fleeing the area, Webb was beyond reason as he sought a reason for the deaths of his family. In Saigon seeking answers, he encountered Alexander Conkin who saw an opportunity to make use of Webb's abilities and his anger. After a time, Webb was introduced into the highly secret organization known as Medusa. His designation was Delta. Years of assassination and covert operations made Webb the perfect man to choose for the role of Jason Bourne. As shown below, a made-for-tv movie was produced in 1988 that follows the storyline fairly well. 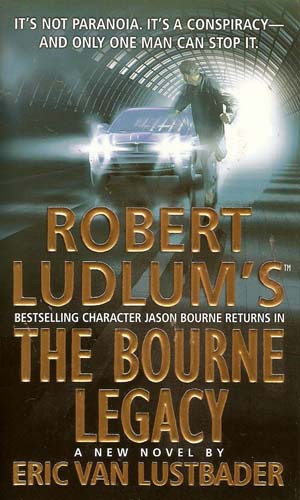 In 2002, a new version was made of the Bourne story which radically veered from the books but was successful enough to warrant other movies extending the revised story of who Bourne is. 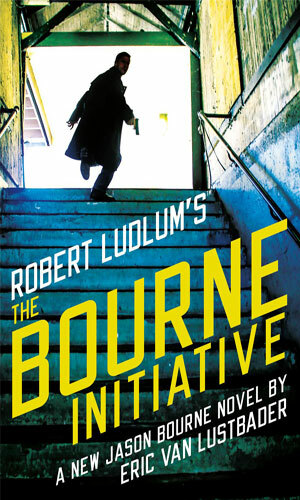 In this revision, Jason Bourne, formerly David Webb, is a man who wants to make a difference in the war on terror so he volunteers to take part in a special program the CIA has devised. Extreme training and chemical enhancements are used to turn the agents into incredible fighting machines. They are placed in major cities around the world to await calls for duty, usually to kill enemies of the state. 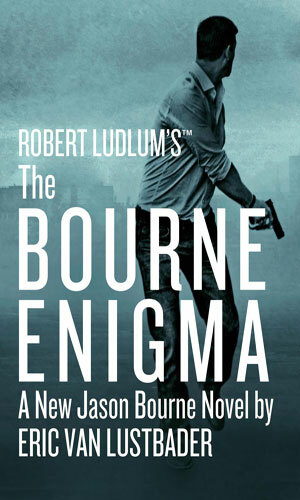 Bourne is given an assignment to kill an African head of state aboard his yacht but when he has the chance, he refuses to pull the trigger since the target's children were in view. For his mercy, he is shot by the man's bodyguards and falls into the ocean to die. When he survives, he cannot remember who he is but soon learns that the Agency now totally distrusts him and wants to eliminate him to protect the secrecy of the program. 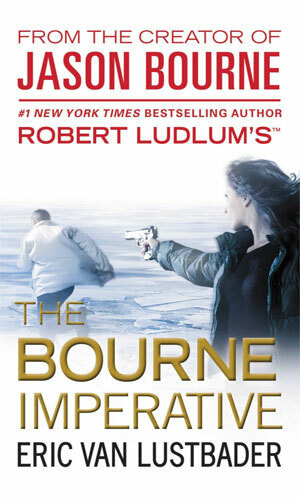 Bourne may not remember who he is but he definitely remembers how to survive. When they fished him out of the Mediterranean Sea, his body was riddled with bullets and his head was blank of any memories. He soon realizes that there were others searching for him to kill him. He also wonders how is it he is so good at killing. 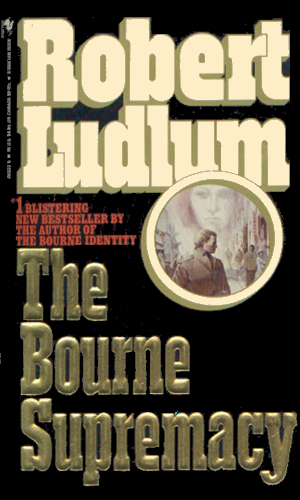 Jason Bourne had been a fiction, created by David Webb to draw out Carlos the Jackal. 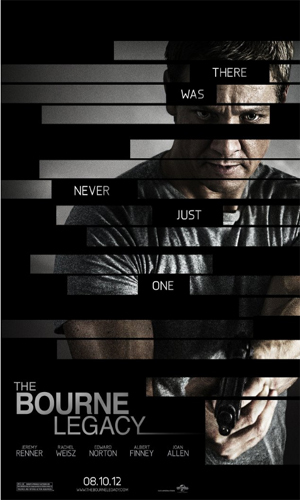 Now Webb has retired but someone out in the world is killing and using the name Bourne. Webb must again become Bourne to find the imposter. Carlos the Jackal is back and he knows Jason Bourne's true identity. Only by returning yet again to the identity of Jason Bourne can Webb remove the danger to his family but the longer he plays the role, the more he is Bourne and the less Webb. The murder of his mentor and his psychiatrist is meant to put Jason Bourne out of action but it just drives him further into a plot to destroy an important international summit. 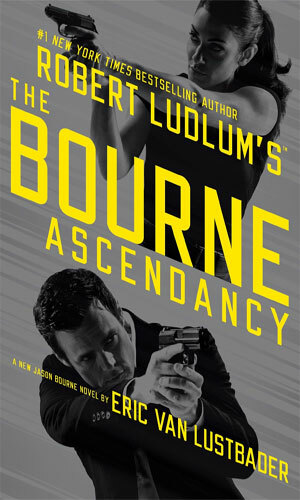 The death of Jason Bourne's only friend sends him on a mission to Africa to rescue a CIA deputy director. 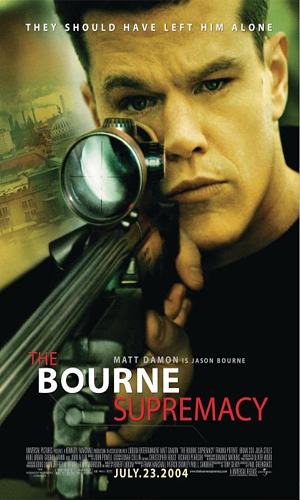 The request by David Webb's university mentor to investigaate the murder of a former student by a previously unknown Muslim extremist sect is just one of several events forcing Webb to become Jason Bourne again. 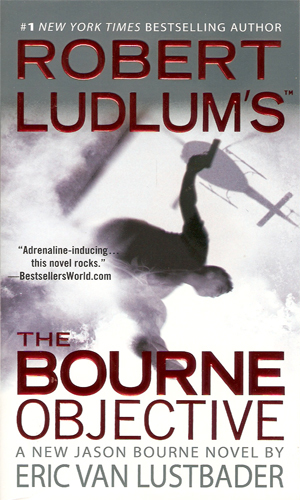 Jason Bourne's most recent enemy was not dead as thought and puts a bullet into an unsuspecting Bourne who must fight death before getting even. Severus Domna is the name of a secret organization with plans to take control of the world and they are looking for a clue that Bourne has which could pinpoint the gold of King Solomon. Fighting Bourne is Arkadin, another graduate of the covert school that trained Bourne. Jason Bourne is given the task of finding terrorists intending to destroy the West's natural resources. 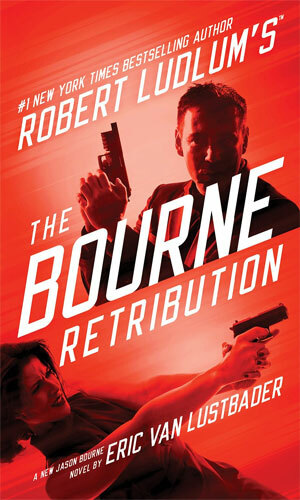 To accomplish his mission, he needs the help of his old friend, Karpov, now head of Russia's FSB-2 but Karpov has been told if he wants to keep his job, he must deliver Bourne's head. 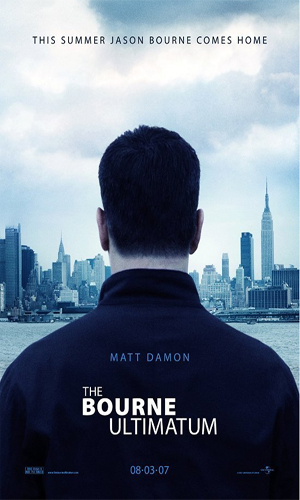 In an eerie reminder of his own past, Jason Bourne fishes a man out of the ocean, injured from a gun shot and without memory. As they try to piece what happened, they learn one of Mossad's best agents has gone off the grid looking for them, reasons unknown. The Head of Mossad asks Jason Bourne to look into the secret dealings of a major Chinese leader and a Mexican drug lord. Bourne is agreeable because it means going up against the man who ordered the death of someone close to Bourne. 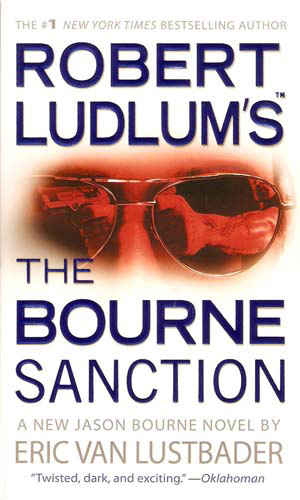 Hired to take the place of an official attending a conference in Qatar, Jason Bourne is there when terrorists raid the place, killing all but Bourne. That is when Bourne learns it was not the official being sought but himself. Jason Bourne's Russian friend is getting married but the festivities are about to get very bloody. 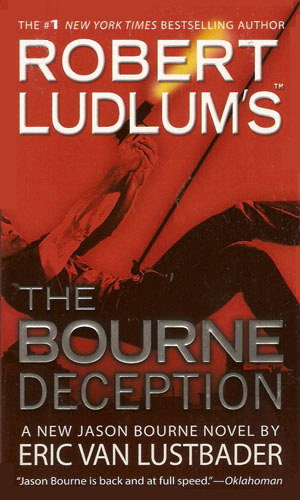 Bourne learns there is a plot to bring disaster to the entire world and he must find his old friend to get to the bottom of it. The head of the Russian FSB has died but word of his last plot, cyber-hacking to get the American nuclear launch codes, is leaked. Evidence points to Jason Bourne as the man that the dead spymaster was using now Bourne is a hunted man. 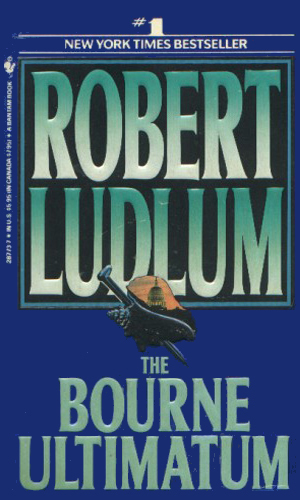 In 1988, director Roger Young turned Ludlum's novel into a two-part made-for-television movie. 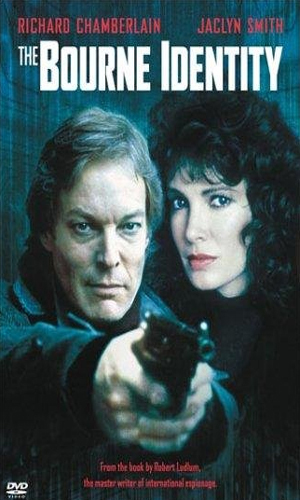 It starred Richard Chamberlain as David Webb/Jason Bourne, and Jaclyn Smith as Marie St. Jacques. Other members of the cast included Denholm Elliott, Donald Moffat, and Anthony Quayle. The presentation was well received and quite true to the novel. Chamberlain received a Golden Globe nomination for his role. The emphasis was on suspense and the trepidation that Bourne and his captive/helper felt when they did not know who they could trust. 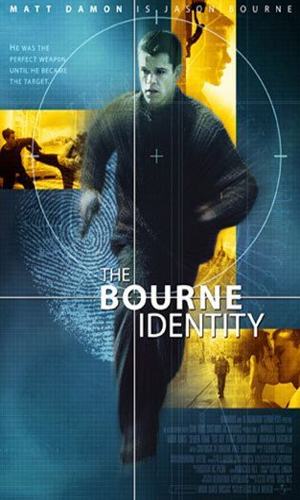 In 2002, a theatrical movie of The Bourne Identity was made by Doug Liman with Matt Damon in the role of Webb/Bourne. It had far more action scenes showing Bourne as an extremely dangerous combatant with a hair trigger. His own astonishment over his skills is itself worth the price of admission. It took a different slant to the novel than the miniseries but still held to the basic storyline of an agent who cannot remember his past and worries he is able to do the things he can. Two completely different approaches to one novel and both well worth the time to watch them. The movies with Matt Damon continued with the next two books although the plots were different and just the names remained. Still very entertaining and worth watching several times, especially the third, they radically parted from the novels but stayed true to the "new" version of Jason Bourne. Wanting the francise to continue, the producers asked Matt Damon to return for more but he at first said no and later only on special conditions. They moved one anyways but instead of finding a new actor to play Bourne, they presented a story about another agent in the Treadmill program who is enhanced like Bourne and who wants out but who is hunted by his former bosses. Two part made-for-tv movie, it deals with a man who is hurt and washes up on shore in a French town. Not remembering who he is or how he got there, he soon learns that someone is out to kill him. A fishing trawler finds a man floating in the ocean riddled with bullets. He manages to survive but has no memory and very little leads to learn who he is and why he was shot. 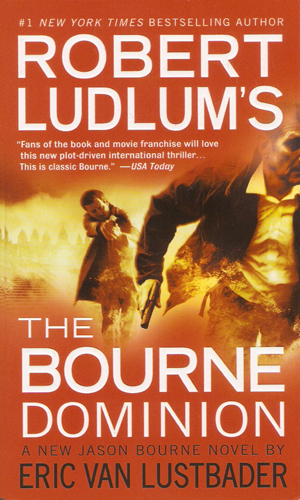 Bourne and Marie have started a new life in Southeast Asia but a killer comes after them and Bourne barely survives. Now he wants revenge for Marie and answers to why the Agency is still after him. 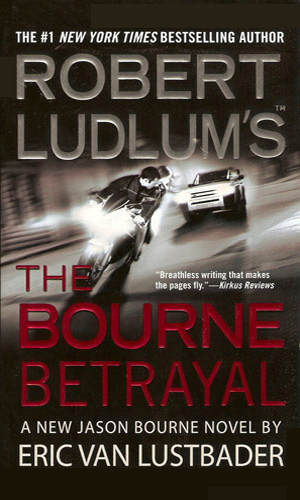 Wanting to know who he once had been and getting only brief glimpses in his mind, Bourne heads to the States for answers but runs up against a CIA station chief who has his own plans for Bourne's future or lack thereof. When the media learns about Treadstone, the people running it decide to shut it down and that means taking out its trained operatives. One such agent is Aaron Cross who does not go quietly. Part of his conditioning, though, was medication he needs now to survive and he has run out. Nicki Parsons, working with a whistle-blower, uncovers the truth about Treadstone and that in turns brings Jason Bourne out of hiding and the target of the CIA. 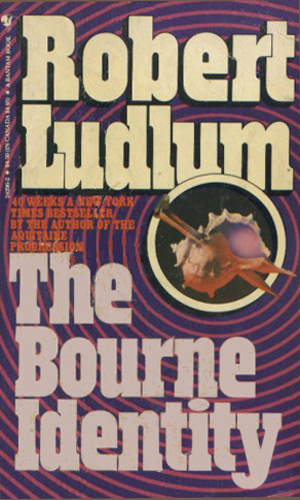 Not originally intended as a series, the first book is one of the best Ludlum stories he did. The feeling that Webb has as he tries to find out who and what he is truly comes through. The novel is first and foremost a suspense thriller, not an espionage story. The second book, written six years later, is more of a spy novel but a darn good one. The third book completes the trilogy and brings closure to the tale of David Webb. Then comes the 4th, 5th, and 6th books, and so on, which shows you can't let the death of the creator keep a good agent down. Seriously, the new novels are written by an excellent author so I welcomed the new additions. I didn't like the direction the books took but that doesn't stop the books from being worthwhile reads.